Spectacular View That Goes On Forever! Surround yourself with quality in this comfortable 3 Bedroom, 3 Bath home with Large Master Suite, In floor Radiant Heat, Custom Tiling & Hardwood Floors. Large south facing windows! Count the Stars from the Spacious Deck or Sit back, Relax and Enjoy the View!. Cuddle up by the cozy Fireplace that warms the Living room & Master bedroom! Make this Home Yours! Gourmet Kitchen Granite Countertops Bakers Station Custom brick flooring Endless Storage in Cabinetry Island with cook top Hardwood Flooring Master with doors onto Deck! Large Suite Loft makes perfect office/Study area Large Fully fenced back yard. Downstairs rental potential. Kitchen can be reinstalled in the downstairs to set it up as a rental or Mother In Law Apt! Dual laundry Hook Up. Privacy and very little traffic on the road! Gravity fed shallow well for watering / washing cars etc. 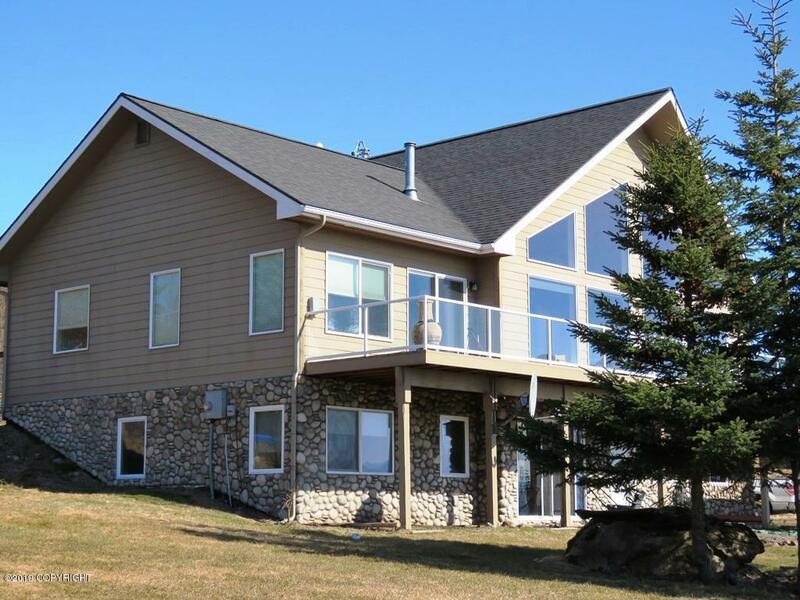 Huge Deck with Breathtaking Views of Kachemak Bay, Glaciers and Homer Spit! !